This is an article in a series where I answer reader questions. This is a 2 part series. In this article, I’ll focus on the best routes and currencies. In the next article, I will focus on how to earn the currencies she needs. Jenny is a reader who just moved Portland from Vancouver. She wants to travel to Vancouver regularly, with less regular trips to Edmonton and Boston. I suggest she use British Airways Avios to buy her trips to Vancouver and use Alaska Airlines miles to book her trips to Edmonton and Boston. She can combine these trips into a single itinerary and take her stopovers in Portland to essentially get 2 trips out of each itinerary. I am from Vancouver and recently moved to Portland, OR. I want to travel back to Vancouver every month to see my family and friends who are there. My mom lives in Edmonton and my sister lives on the East Coast in Boston. Our family usually meets in Vancouver, but I do like to visit both Boston and Edmonton about once per year each. I usually take an international trip each year but that varies and sometimes I can get work to pay for it. My mom has offered to pay for some of my trips with her credit card points. I have lived in the US for a while so I can actually get a US based credit card myself and use the points from the best card to pay for my flights. Do you have any suggestions on what I can do to get these routes for the best price? Thanks Jenny for the question. I would love to help you out. Let’s just quickly assess the current situation, and what we’re hoping to achieve here. 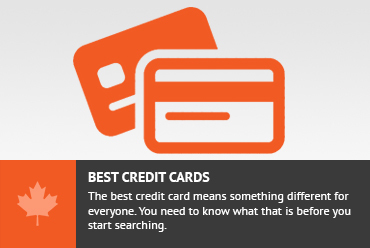 If I understand you correctly, we want to understand the best ways to pay for these flights, while at the same time understand how to acquire the points through credit cards. Right off the bat, we have to understand which airlines are going to be most prevalent in Portland. It seems that Alaska Airlines uses Seattle as its main hub but Portland as an alternate hub. As a result, you are going to have the most options for flights if you can use Alaska Airlines. That being said, looking at the route map, all 3 routes you are interested in (Portland-Vancouver, Portland-Boston and Portland-Edmonton (via Seattle)) are all serviced by Alaska Airlines. Alaska Airlines is not part of any specific alliance but it has many airlines that it partners with. This will actually work in your favor as we can collect miles in the program that will get you the flights you want for the lowest rate. The airline programs I suggest you collect are Alaska Airlines MileagePlan and British Airways Avios. Canadians wanting to collect these miles can read our top 5 travel reward credit cards article. It is a short 251 miles from Portland (PDX) to Vancouver (YVR). According to the British Airways site, that flight should cost you only 4500 British Airways Avios each way. This is going to be the most efficient way to book this trip. In my analysis of Aeroplan’s short haul flights, I noted that roundtrip flights from Vancouver to Portland should cost 9000 British Airways Avios + $53 in taxes and fees. This is going to be the best way to travel this route. Another advantage to this is that if you are short Avios, you can always buy the remaining Avios for about 1.3 – 1.5 cents each. This flight is a long cross country flight. The only 2 direct flights on this route are operate by JetBlue and our favorite airline, Alaska Airlines. Jetblue runs a revenue based mileage program so using a mileage program to book the JetBlue flight would not really give you a way to get any outsized value. There is opportunity, though, to get some outsized value if you use the Alaskan Airlines MilegePlan program to book this flight. 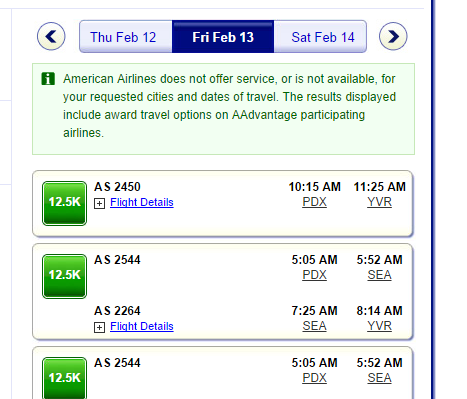 Portland to Edmonton is not a direct flight and needs to be done via Seattle using Alaskan Airlines. Using another carrier, you could connect in another city, but the best option is going to be to use Alaska Airlines and connect in Seattle. It would cost only 12.5K Alaska Airlines miles to book each one way (25K roundtrip) within North America. Each one of these one-way flights would allow for a stopover of up to 1 year en route, provided it is not out of the way. 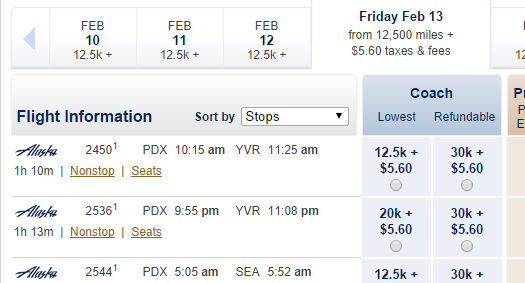 A flight from Boston to Portland would be 12.5K each way. While a flight from Boston to Edmonton, with a stopover in Portland for up to a year would also be only 12.5K Alaska miles each way. It would make sense to simply combine the 2 flights you want into a single itinerary and call Portland the “stopover” point, instead of the destination. This would give you 2 flights for the price of 1. As you can see, combining them is going to essentially give you one of your flights for free. This is what I would suggest doing when booking your trips to Boston and Edmonton in the future. I think the best engine for finding award space is going to be the American Airlines website. The Alaska Airlines website is a good second option. For your flights between Portland and Vancouver, the Alaska Airlines website will show you more flights than you can book with your British Airways Avios. As mentioned above, this route should be done using British Airways Avios. Unfortunately, flights operated by Alaska Airlines can’t be searched or booked online. This is a very frustrating part about this process. Use the American Airlines website to find space on this route. You will want to search using the “redeem miles” option in the search function. Only flights that are in the “Economy SAAver” section will be eligible for Avios purchase. The reason I suggest avoiding the Alaska Airlines site for this search is because you will be offered some flights that can only be booked with Alaska Airlines miles. Since we are trying to book this using British Airways Avios, it is important to know which flights have been made available to partners. You will notice that Alaska Airlines site is showing space on AS 2536 that American’s site doesn’t show. AS 2536 will not be bookable with British Airways Avios, though it is bookable with Alaska Miles. (These ones show as a higher number of miles). You will have to call the British Airways Avios call in centre to book this. They will waive the phone booking fee since this flight can’t be booked online. The best and only way to book this is by using the Alaska Airlines website. I would search for the space I was looking for individually. Look for your Boston-Portland flight and date, then completely independently look for a Portland to Edmonton flight. You will want to book only the 12.5K flights. Something I have noticed is that I was unable to have my Boston to Portland flight connect in Seattle if I wanted this to work. So if you are doing this, make sure that you are only traveling on the 12.5K flights that are direct from Boston to Portland. In my quick search, I was able to individually find a 12.5K flight from Edmonton to Portland on Jan 18 and a Boston to Portland on Feb 12. Combining them into a single itinerary, we see that the price of combining only went up by the taxes paid. Jenny – I think you should get a load of British Airways Avios to book your flights on Alaska Airlines between Portland and Vancouver. Stay on direct flights on Alaska Airlines. For traveling to Boston and Edmonton, use Alaska Airlines miles to book flights between Edmonton and Boston, with very long (weeks or months) stopovers in Portland, where you live. See the next article for some ideas on how to easily earn the miles you need for this routing. Don't subscribe All Replies to my comments Notify me of followup comments via e-mail. You can also <a href='https://www.creditwalk.ca/comment-subscriptions/?srp=3394&srk=2648578ecea05c83754707575dc5a494&sra=s&srsrc=f'>subscribe</a> without commenting.